A few weeks ago Brahmin sent me a little present and I’ve been toting it around ever since! Out of all the bags on the site, I chose the Ramona Crossbody Bag in Julep. 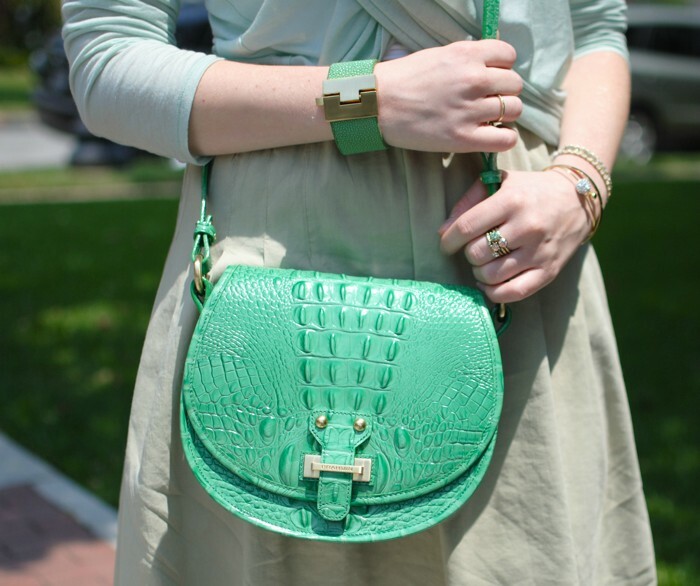 The color is so fresh and I love the croc-embossed leather. It’s the perfect bag for summer!